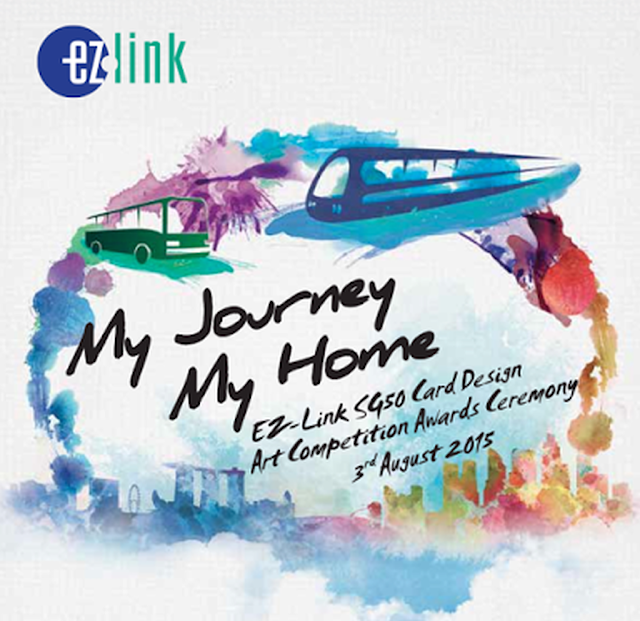 Have you been wanting to change your EZ-link card design? Why not help out a special cause while doing so? 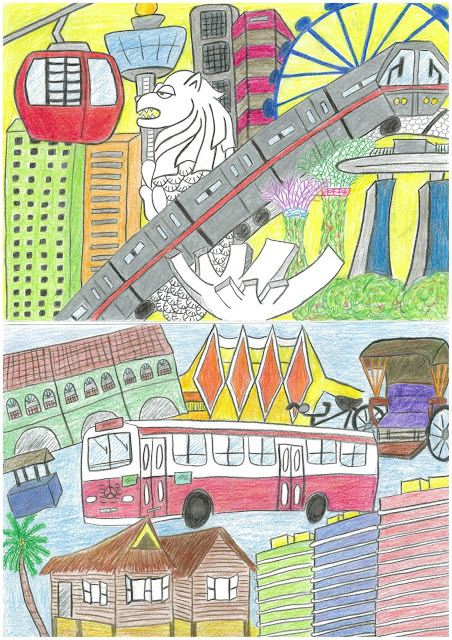 EZ-link Pte Ltd held a SG50 card design art competition in February 2015, to develop an exclusive set of commemorative collectibles to celebrate Singapore's 50 years of progress. A total of 20 Best-Of-Show designs were chosen after the final judging session. I was there to witness the awards ceremony AND IT WAS MAGICAL. What made the award ceremony interesting was an illusion performance! HE MADE A BOWLING BALL APPEAR OUT OF PAPER. 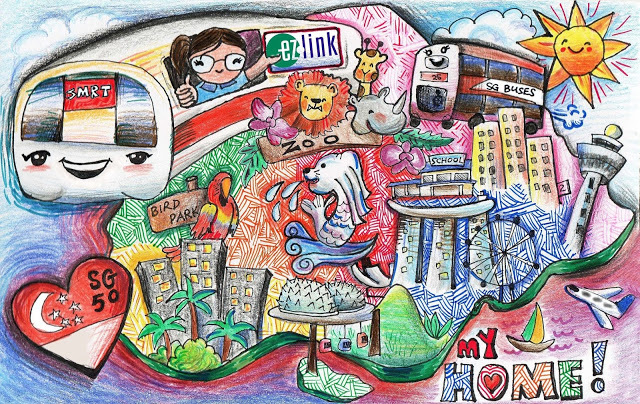 Each of these art pieces have been printed onto 50,000 ez-link cards each and will be sold at TransitLink Ticket Offices island-wide from 4 August 2015. This is a very meaningful project as the EZ-link card becomes a mini canvas for young, budding artists to express their feelings about SG50. 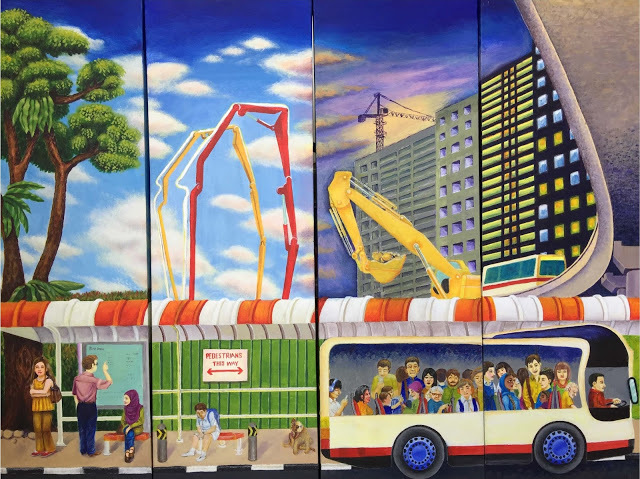 EZ-link, working with partners like the Dyslexic Association of Singapore (DAS) and National Arts Council, has also used art as a platform to support children with dyslexia (hence the DAS category). You can help contribute to a good cause and help children with Dyslexia by purchasing these EZ-link cards. EZ-link will contribute $0.25 from every card sold to DAS, with the aim of raising $50,000. These funds will be used to strengthen learning support to students with dyslexia unable to afford programmes such as literacy, mathematics, Chinese language and Speech and Drama Arts, all of which are much-needed as they struggle at school everyday. For more information, visit Ez-link's website at www.ezlink.com.sg/happenings/sg50 or their Facebook page at www.facebook.com/myezlink. 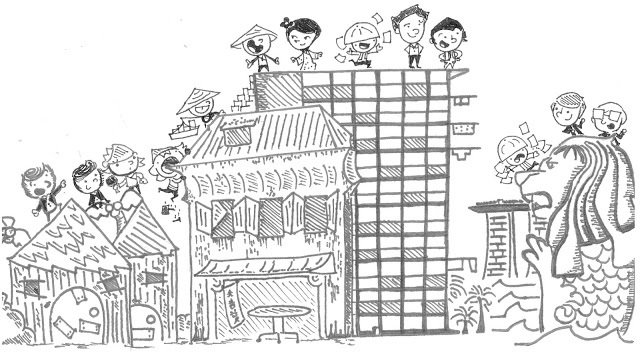 Now go purchase and collect these SG50 EZ-link collectibles and help out a good cause!